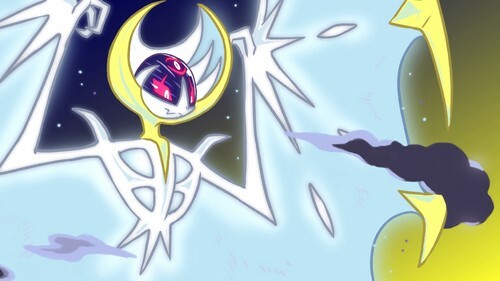 Lunala 壁纸. 壁纸 created 由 me (1920x1080). HD Wallpaper and background images in the 神奇宝贝 club tagged: photo pokemon sun moon legendary 2016 wallpaper solgaleo geocen. This 神奇宝贝 wallpaper contains 动漫, 漫画书, 漫画, 卡通, and 漫画卡通. Why 皮卡丘 doesnt like it's poke ball.